Review & Swatches: Dear Katie Brown Shiny Misfits & Coven Palettes | Ram Etc. I've been following Dear Katie Brown for some time now on Instagram - she's a great US based brand who specialises in pressed glitters. The shade range is amazing, which a big array of colours, finishes and formulas. I came back from my holiday to my package and I had ordered the Shiny Misfits and Coven palettes. Shiny Misfits came with a metal storage tin 12 shades and Coven came with no tin and 7 shades. 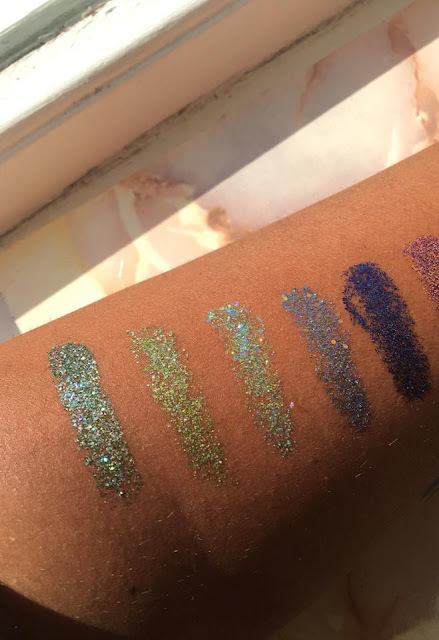 I was also sent a bonus shade called Glitter Squad which I was so excited to see! 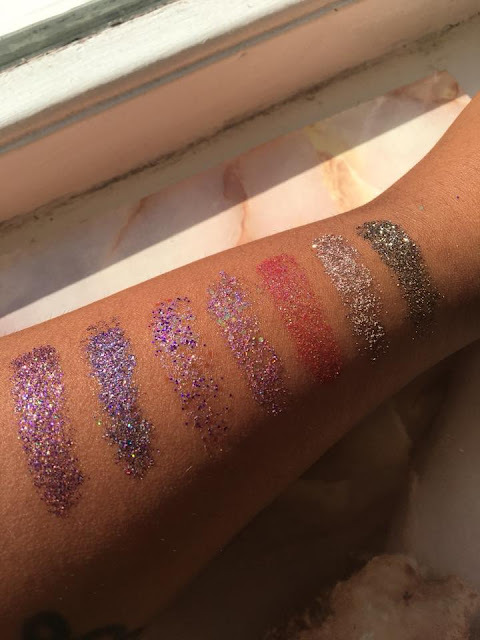 I messaged the brand before I received my order to see if they had some sort of MUA scheme and I was lucky enough to be joined to their Glitter Squad! 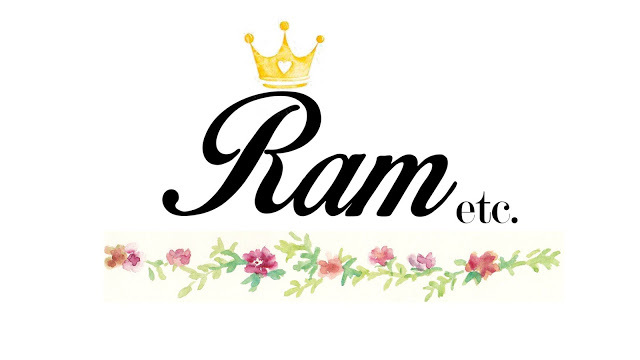 Not only do I get to be part of a great group for MUA's but I also have a discount code for you all - Ram10 for 10% off your entire order! Seeing these shades in real life I realised how much care and attention is taken for each pan of glitter I received. Within this set is an array of finishes, some fine glitter, some chunky and some with different shaped chunky glitter in them. I'm in love with all of these formulas and finishes! 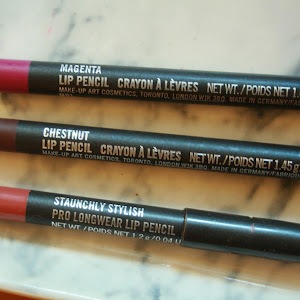 They're incredibly pigmented, smooth and buttery, I was soooo surprised at how easily these glided on my skin. I only dipped into the pan once and the glitters were smooth and provided a great amount of coverage without being patchy. There's not one shade that I didn't like the feel of and all of them are so different and unique, I can't wait to get stuck in! Again, I am so impressed with the formulation and pigmentation of these, I think this colour combination is my favourite out of all the collections that DKB has to offer. Katie is honestly one of the nicest people within the beauty industry I've come across and she has so much passion for the products she creates. 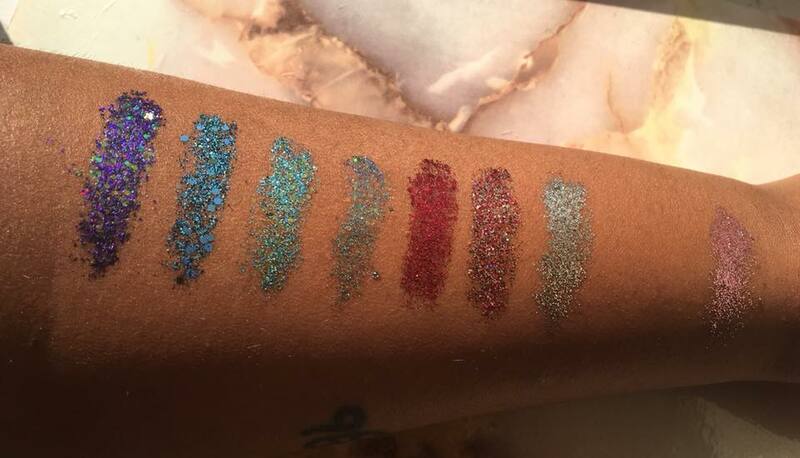 One thing I really appreciated, especially whilst swatching is that these glitters were SO easy to remove. 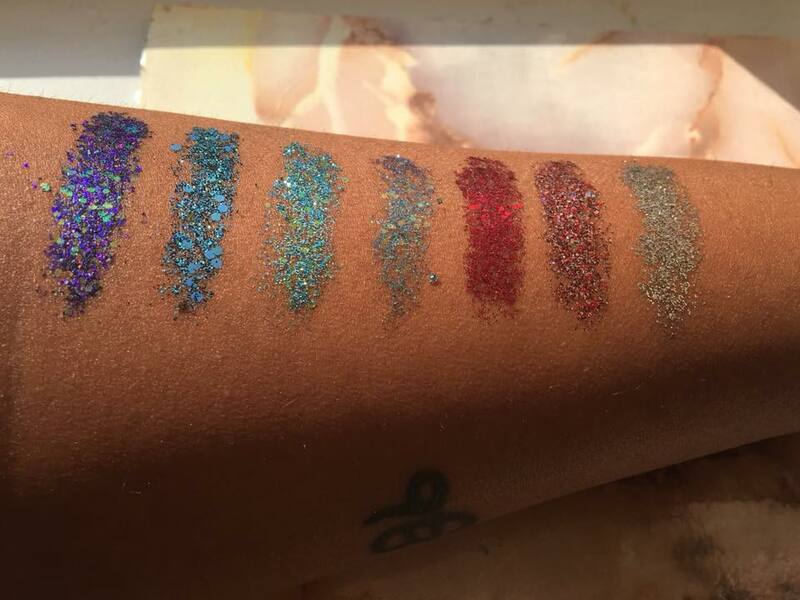 As much as I love glitter, I usually hate using it as it's a complete mission to get it fully off your skin. I just wiped most of it away with a tissue and then washed it using hand soap and warm water and my arm was completely clean. My delivery also came with this cute postcard and a lovely hand written message from Katie herself. The palette comes inside this little fabric bag too which is such a nice added touch and a great way to keep the palette protected, especially if you're travelling! I'm so in love with not only the products, but the extra added details that came with my delivery and the brand itself. Little things like this do not go un-missed! 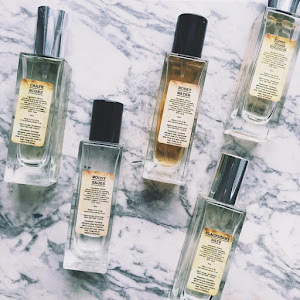 Take a look at her products via the Dear Katie Brown website here and don't forget to use my code Ram10 for 10% off your order! 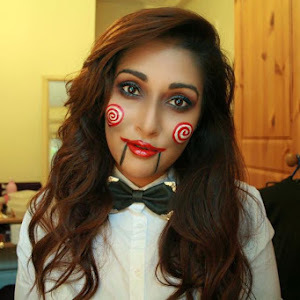 If you have any questions or suggestions on what kinda looks you think I should create then feel free to drop me a comment!